Charlize Theron popped up in a Berlin, Germany for the 2019 Cinema For Peace International Committee & Nominee Dinner at the China Club yesterday(February 10th) in Berlin, Germany. 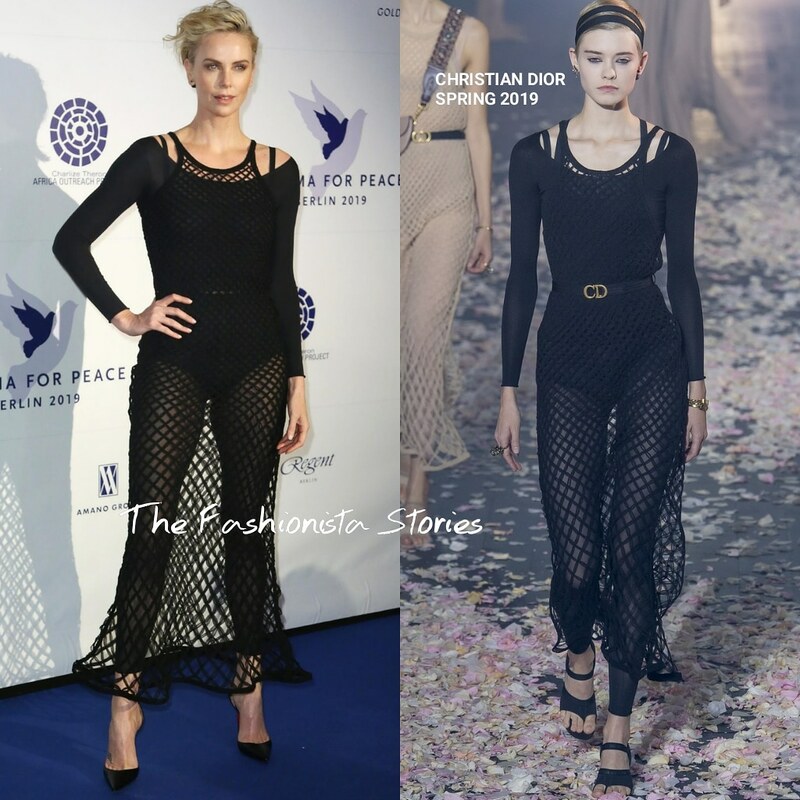 Charlize CHRISTIAN DIOR SPRING 2019 layered black embroidered tulle and knit jumpsuit with shoulder straps, had an atheleisure feel to it. This is something different for Charlize because I can't recall ever seeing her in a see-through look like this before. With that said. I don't think it suits her. I can see Diane Kruger nailing this look. Also I miss the belt. She finished up with CHRISTIAN LOUBOUTIN pumps. Do you think Charlize pulled this look off?